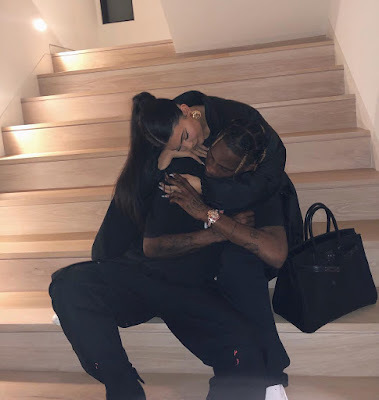 #KylieJenner and boo #TravisScott loved up in new photo.. The reality star and beauty entrepreneur posted this photo of herself and her partner captioning it #Baby2? Whatever the case,good to see them waxing stronger..